First video surveillance systems used to be entirely consistent of analog cameras and video recorders somewhat similarly looking as old time VHS player. Remember how in 1981 Bill Gates said about RAM that ‘640K ought to be enough for anyone’? Well, looks like he was a little bit wrong, wasn’t he? That’s the thing with DVRs. Back in the day when they were first introduced no one could really foresee what a boom they had ahead. Businesses continued to grow and so did their demands. Years went by and IP technology was discovered and made use of in various fields of human life, including digital surveillance. That’s where DVRs reached the deadlock in development. Nowadays they can hardly compete with network digital surveillance where there was already introduced a Gigapixel camera while analog cameras in DVRs have 1000TVL (television lines) at best (compared to a FullHD IP resolution). Network digital surveillance is predicted to be the future of video surveillance due to its apparent boundless possibilities. The limit is the sky. Love it or hate it, DVRs seem to be the cheapest and seemingly the fastest way to get an object under surveillance. DVRs come in a package of a DVR box, similar in its structure to a computer, that does all the work and stores recordings, and a certain set of analog cameras – 2, 4, 8, etc. Since cameras in such complete solutions are usually of lower resolution than their digital competitors, they should be placed in the nearest vicinity from the DVR block. That is quite easy with DVRs. If, however, you need to cover wide space (a supermarket or a farm), you will need exhausting, expensive cable trenching. You will also need more cameras than you’d need if you opted for IP cameras bacause of the latter’s better coverage of wide territory. As a result, price would be equal if not higher than that of a network digital surveillance system. 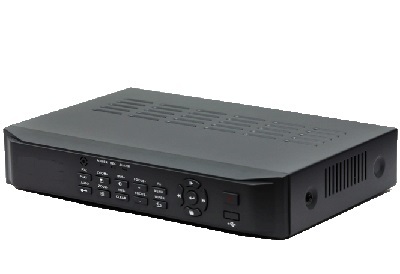 Luckily, special addtional PC DVR software is at your disposal to help you virtually connect your DVRs to computer and use sophisticated features like face detection and recognition, electronic map of the surveillance site with quick jump to a camera that triggered the alarm, etc. A great example of such PC DVR software is Xeoma, a program with a fully free mode that allows to connect up to 8 cameras. 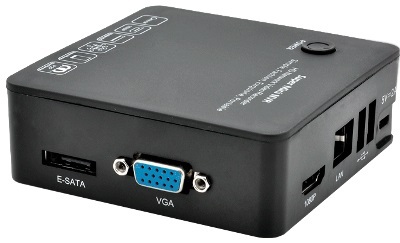 If your analogue cameras are connected through a DVR, to work in PC DVR software Xeoma such DVRs must work with MJPEG, JPEG, H264 or MPEG-4 streams and stream video through http or rtsp. Before you connect your DVRs to Xeoma, you will need to connect them to a computer where Xeoma is or will be running and make sure that you can view your DVR cameras there. Usually you can find the guide in DVRs’ documentation. Open a browser and type in DVR’s IP address and see if cameras come up. If you can view cameras in a browser from the computer, run Xeoma on that computer. There’s a chance it will find cameras from your DVRs automatically with its automatic search at launch. You will see this progress bar in the right bottom corner, you can click it to stop the search and show cameras that already were found. -In most cases, these URLs can be found in DVRs’ documentation. -Search the Internet (for example, forums) for URLS for your DVRs. -Ask seller or manufacturer for URLS for your DVRs. As soon as you have the URL for your DVRs’ stream, paste it in Xeoma’s Universal Camera module’s settings. Usually a number in /channel/ or /stream/ part stands for the camera’s number. For example, rtsp://..//channel/1/ stands for camera #1, rtsp://..//channel/2/ for camera #2 in your DVRs, etc. NVRs – network video recorders – are a love child of digital surveillance as we are used to see it, and IP technology. The recipe for this 8th wonder of the world is you keep in mind the needs of modern day users, not outdated, needs to automatize video surveillance, you take the best of DVRs and add up the achievements and potential of the newborn IP technology. NVRs only work with IP cameras (network cameras). On the plus side, however, they are easier to connect to Xeoma PC NVR software. Chances are high that your NVRs cameras will be detected automatically in Xeoma PC NVR software where you later will be able to use most sophisticated features. -In most cases, these URLs can be found in NVRs’ documentation. -Search the Internet (for example, forums) for URLS for your NVRs. -Ask seller or manufacturer for URLS for your NVRs. As soon as you have the URL for your NVRs’ stream, paste it in Xeoma’s Universal Camera module’s settings. Usually a number in /channels/ or /stream/ part stands for the camera’s number. For example, rtsp://../channels/1/ stands for camera #1, rtsp://../channels/2/ for camera #2 in your NVRs, etc. As you can see, Xeoma PC NVR software is a tool extending functionality of your NVRs and DVRs. Try the digital surveillance at its easiest now.